Hundreds of independent specialty shops and boutiques along with more than a dozen art galleries make downtown Ithaca a mecca of urban culture. The Ithaca Commons – a unique pedestrian center lined with some of the city’s most historic architectural facades – is the centerpiece of Ithaca’s engaging social and civic life. 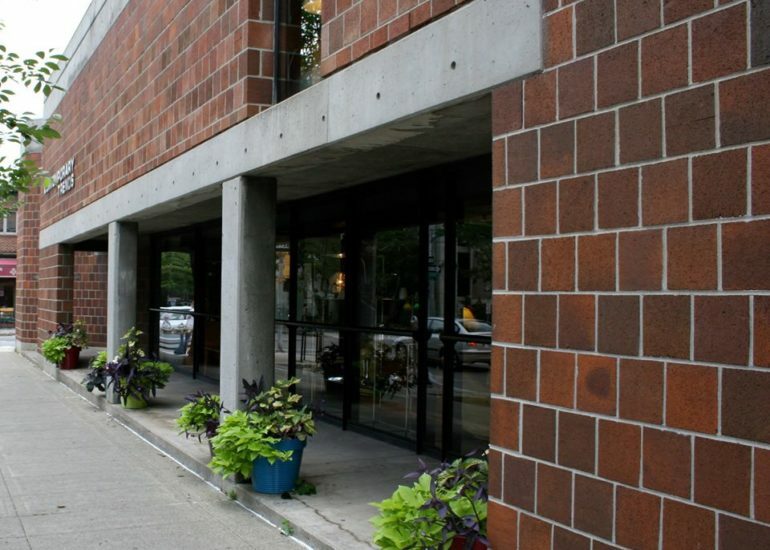 Just a short stroll away is the Dewitt Mall, a historic building housing a broad collection of locally-owned specialty shops, and Press Bay Alley, a series of micro-retail spaces that includes shopping, an espresso bar and ice cream. Few centers of commerce and culture are closer to natural beauty than downtown Ithaca. During the warmer months, attend an outdoor concert at Dewitt or Stewart Park, follow a walking trail to one of Ithaca’s many waterfalls and visit the southern tip of Cayuga Lake, one of the beautiful Finger Lakes! Enjoy a festival for every season hosted on the brick-paved walkways of the Ithaca Commons. Catch a film at Cinemapolis, a distinctive movie venue and art house, or watch a performance at the beautifully renovated, regionally renowned State Theatre. Touted in the New York Times as one of America’s “Best Emerging Cities,” Ithaca is unquestionably the ideal playground for all. Locally owned and operated by Bettsie Park and Ken Jupiter since 1982, 15 STEPS is a favorite with both locals and visitors alike. 15 STEPS is known throughout the region for their collections of extraordinary jewelry and American crafts. 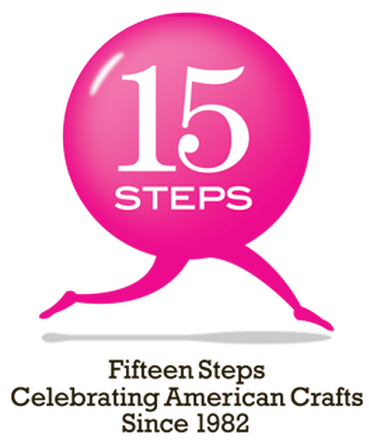 In addition to these collections, 15 STEPS features personal care products and locally made chocolates. 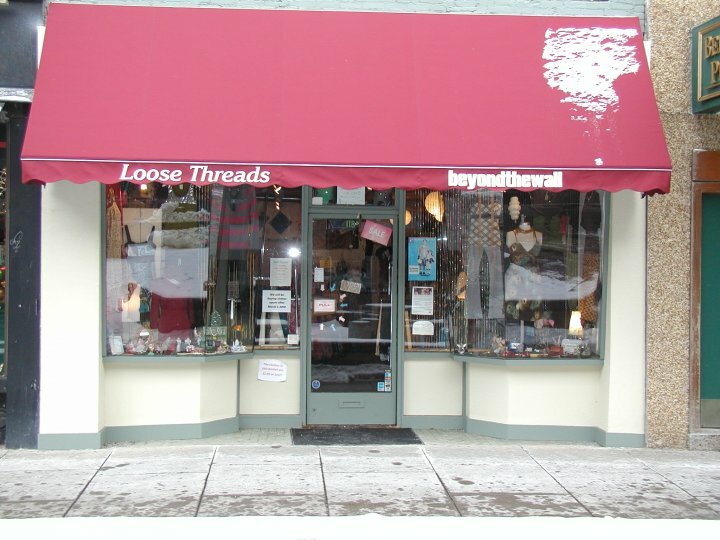 Loose Threads carries fun and funky clothes and gifts for every woman. Be sure to check out their vintage and thrift clothing on the second floor! 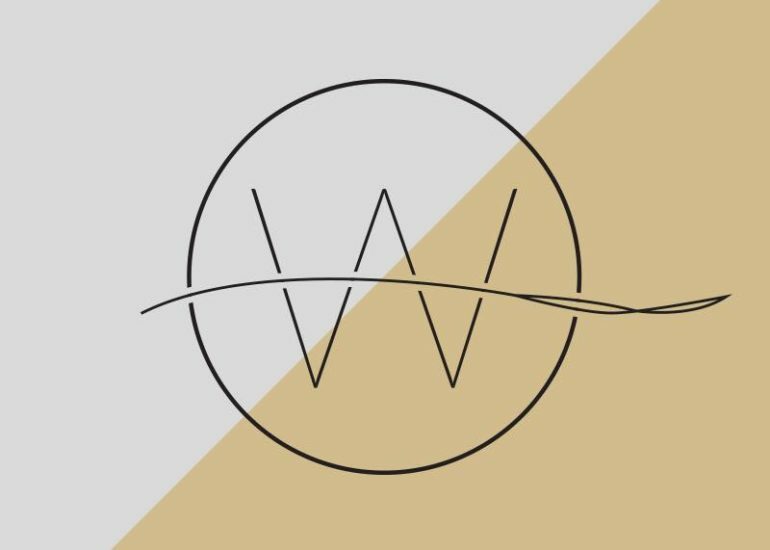 Holistic salon offering head spa treatments and an organic marketplace with makeup, hair care, and skincare products. Alphabet Soup is a children’s toy and book store full of imaginative, creative and fun toys, games, and books. Alphabet Soup offers free gift wrapping! Sign up for the Birthday Club. Locally owned and operated for over 25 years! Alta Spa is a day spa located in downtown Ithaca since 1999. Alta Spa offers some of the best spa and salon services Ithaca has to offer. You can receive a full range of skin care, body care and hair care services here. Alta Spas specializes in Waxing, Sugaring Hair Removal, Male Brazilian, Female Brazilian and Eyebrow Waxing, Anti Aging Facials and Body Treatments, Body Scrubs, Massage as well as Nail Services, Hair Cuts, Hair Color Services, Relaxers, Hair Straightening including CHI Transformation and Dreadlock grooming services. Alta Spa gift certificates are suited for various occasions such as ladies’ night out, couples relaxation and more. Alta Spa can help you make skincare a part of your way of life, your overall health and well being. Alta Spa invites you to experience the latest techniques, services and products in the skin care and hair care business at our Spa and Full Service Salon. 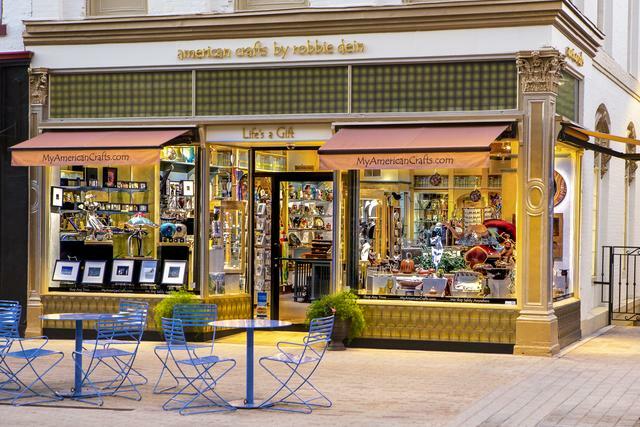 American Crafts by Robbie Dein has been offering the work of America’s finest artisans in pottery, art glass, wood, jewelry, and fiber since 1972. All of the work is of the highest quality and hand made in America. Their motto: Life’s a Gift! Located in the basement of Autumn Leaves Used Books, Angry Mom Records specializes in new, used, rare & weird records & CDs. Always buying small to large collections of records. Rock, Punk, Metal, Blues, Reggae, Soul, World, Jazz, DJ/Dance, Oldies & Assorted Strangeness. Over 20,000 records available at any given time. 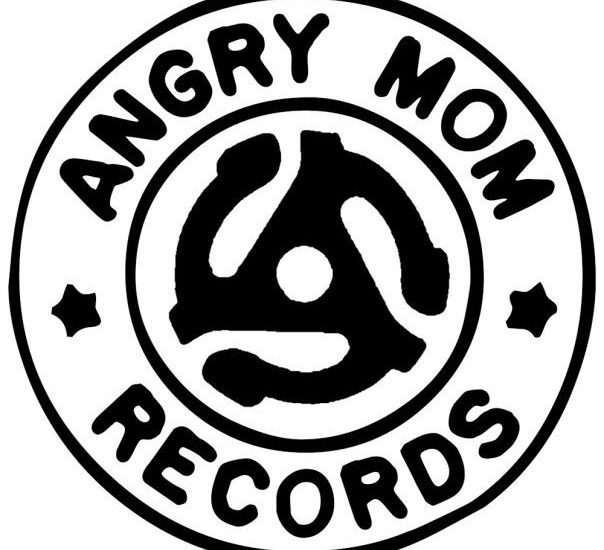 Angry Mom is the proud retail location for Ithaca League of Women Rollers merchandise and ticket sales, and also hosts bumpin’ dance parties at various venues around town. Call or visit on Facebook to find out when the next one is! Autumn Leaves offers the selection and quality of a new book store at used book prices. Their spacious well lit store is designed for comfortable browsing. Their educated staff is always available to answer your questions. Their books are organized into categories, including: Literary Fiction, Poetry, Science-Fiction/Fantasy & Mystery, Cookbooks, Children’s books (From board books to chapter books), Gardening, Health, Art & Music, Botany, General Science, Psychology, History, Women’s Studies, Cultural Criticism, Languages, Philosophy & Religion, local History, Rare & Collectible Books, and much more. Autumn Leaves has an ever-changing selection of collectible books. If you are looking for first editions, signed books or antiquarian books, they might have the volume you are looking for. They might also have a volume that you have never heard of which fits into your collection. Benjamin Peters is a locally owned men’s specialty clothing and footwear store. 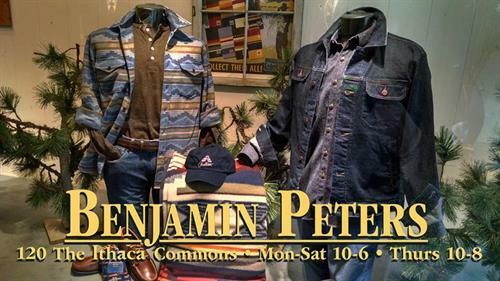 An Ithaca tradition for 24 years, Benjamin Peters is located on the Ithaca Commons. Tailoring services are available and free of charge with any non-clearance items. Benjamin Peter, your lifestyle clothing destination for men now features the “Mezzanine Art Gallery” along with a women’s clothing and shoe boutique! We invite you to stop in and check it out! Press Bay Court, 110 W. Green St.
Limited hours weekly and by appointment. Pointe fittings are by appointment. You may call or email to arrange a fitting. BodyGear makes every effort to accommodate unforeseen needs. Whether you are an experienced dancer or first time…BodyGear takes the time to evaluate and ensure each dancers unique needs are addressed. We welcome individual and group fittings. For over 40 years the Adult Outlet has been spicing up Ithaca nights with an extensive selection of adult films, toys and entertainment. If you’ve never dared to venture inside, you’re missing out on a fabulous collection of apparel. Nearly one third of the floor space consists of shoes, wigs and costumes, as well as lingerie lines by Hollywood, Olivia and Baci, making it a favorite stop for the local burlesque community. Don’t be shy! Stop in and see what makes the Adult Outlet one of the longest-standing businesses in downtown Ithaca. 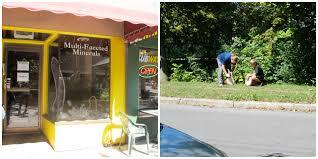 Bramble is Ithaca’s one stop shop for all things herbal. Bramble is located in Press Bay Court in downtown Ithaca. We are a retail store with bulk herbs & spices, medicine making supplies and locally handcrafted products. 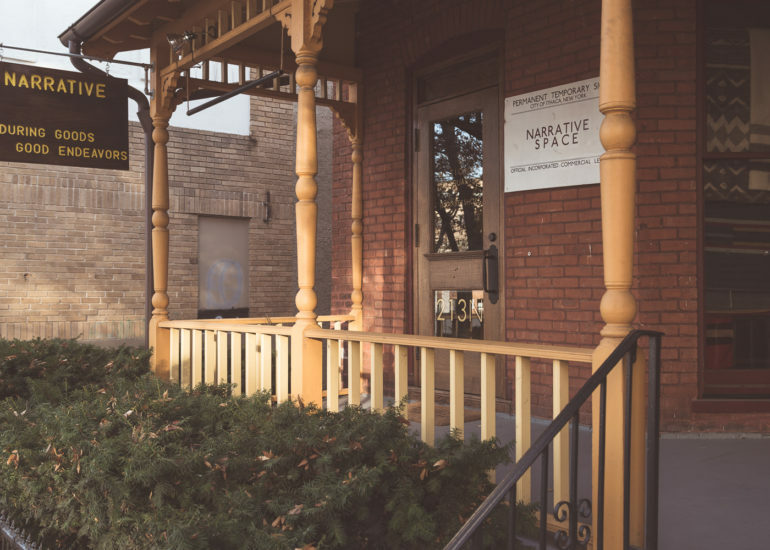 Bramble is also a community space offering herbal health consultations, a lending library, classes and events.We believe that a sustainable and healthy community begins with access to sustainable, local medicine! Breathe feels there is Comfort in Beauty and offers fashions for women of all sizes and all body types. 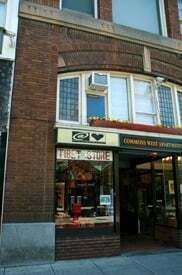 Buffalo Street Books is Ithaca’s community-owned cooperative bookstore and is located in the DeWitt Mall, right next to Greenstar Oasis. For over 30 years, Cat’s Pajama’s has been Ithaca’s general store for kids & kids at heart. Located in the historic DeWitt Mall, Cat’s Pajama’s truly lives up to its name. Browse through a colorful collection of travel games and amusements, magnetic poetry, kids’ science kits, infant gifts and clothing, stickers and toy trains. 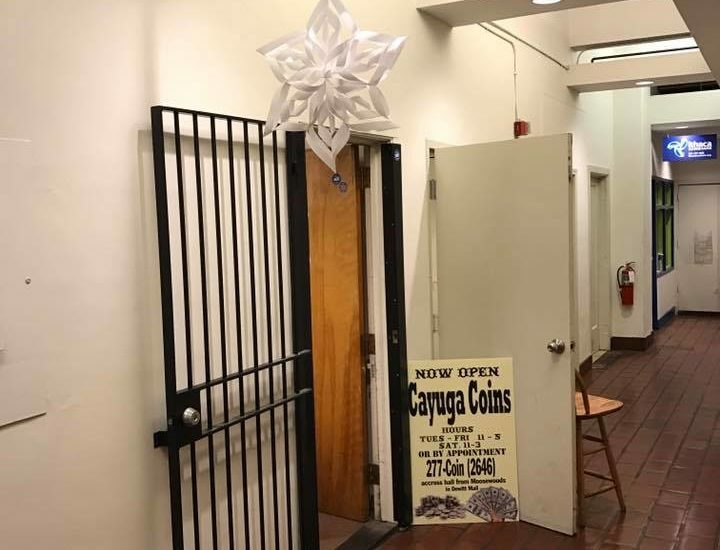 Cayuga Coins is a local business looking to buy and sell Coins & Stamps.We are located within the Dewitt Mall in Ithaca, New York so stop by and see us! The Cellar d’Or is a family owned wine boutique specializing in small production estate-bottled wines and ciders. The Cellar d’Or was created with the mission to give the customer a fun and informative experience that is welcoming to how you understand wine and cider, all while trying to celebrate the small producers and prove that you don’t have to break the bank to have the best quality. The Cellar d’Or promises to celebrate the value of small-scale wineries. The Cellar d’Or encourages wine beginners and enthusiasts to come enjoy the wines and ciders of small-scale producers in the Finger Lakes and various regions of the world. Stop in and create YOUR wine and cider experience. The Cellar d’Or offers free wine tastings every Friday night from 5-8pm! The Shoe Cottage was a family start up business in 1995 in a modest space on the outskirts of downtown Ithaca. Our goal at the time was to offer only the affordable quality footwear for men and women that was unobtainable elsewhere in the surrounding area. Our business flourished beyond our expectations and in 2000 we moved to a newly renovated store just steps from our old location that tripled our size. In 2019, we moved our store to the Ithaca Commons. About 4 years ago, with the demand for more brands and styles for our women customers, we decided to eliminate our men’s line of footwear and focus entirely on women’s brands, which has turned into another huge success. When you come to visit us you will be greeted by Cindy (the business owner of 20 years) or her daughter-in-law Heather, who also has invaluable knowledge of trends, styles and sizing as she has been with us for the last 10 years, or possibly Tracy and Suzi who have also been with us many years with their expertise in precise footwear sizing and fitting. Unlike the department store atmosphere, we gladly bring your selections to you from our vast inventory of over 3,000 pairs. Being independent and family owned also allows us the opportunity to give purchases of multiple pairs a nice discount if you have trouble making up your mind on exactly which pair looks best. Comics For Collectors is a full time business, selling professionally illustrated narratives with sequential artworks within the diverse world of comic books and graphic novels. A large selection of Graphic Novels by numerous publishers, including Marvel and DC Comics. They have numerous Batman, Superman, Spider-Man, Avengers, X-Men books and comics. They also carry many of the top image books, like the hit series Walking Dead by Robert Kirkman. Other popular authors line their shelves like a who’s who in comics: Warren Ellis, Brian K Vaughan, James Robertson, Brian Bendis, John Byrne, Roger Stern, Alan Moore are just a few. Art pieces from Sonic, Spider-Man, Dreaming, Batman, and Archie hang on the walls for all to enjoy. Comics for Collectors makes sure to have a few hot game systems in stock, like Magic the Gathering, Settlers of Catan, Munchkin, HeroClix, Dungeon & Dragons, and Star Wars. Special orders are always welcome at no extra cost. 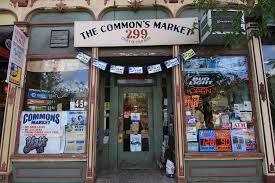 The Commons Market is a convenience store that sells popcorn, cigarettes, beer, ready-made food, and more. 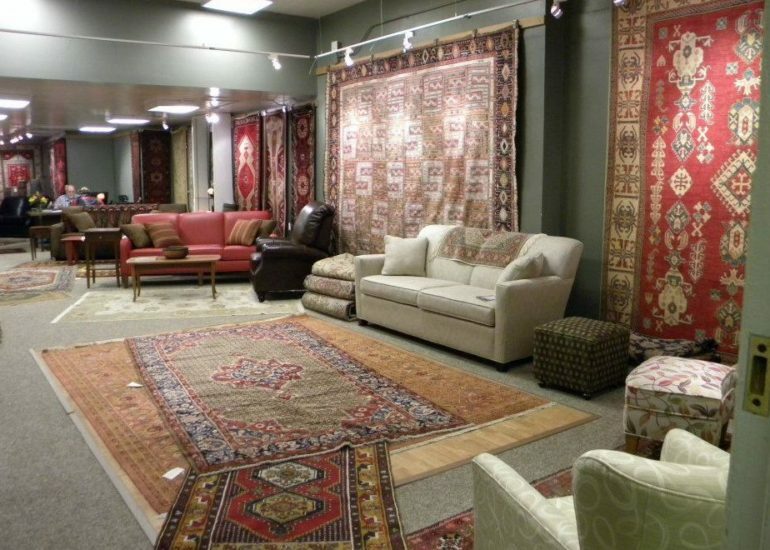 Contemporary Trends has been a center for Scandinavian furniture in the Finger Lakes region and beyond since 1956. Their collection includes good modern design from the US, Italy, France, Canada, Denmark, Sweden, Norway and Finland, as well as lamps, rugs, flatware, crystal and china. Contemporary Trends prioritizes dependable quality, excellence in design, a large selection, a broad price range, and knowledgeable assistance. Come see some of the best modern design for home and office at Contemporary Trends on the corner of Seneca and Aurora Streets in downtown Ithaca. Exscape offers a dizzying array of high end glass-blown pipes representing some of the best-known glass studios including Roor from Germany and Illadelph from Philadelphia, as well as a selection of works by local glass artists. Exscape carries scales, tobacco products and other related paraphernalia. Exscape has a large collection of gift items such as hand-blown glass marbles, vases, body jewelry, tapestries and grinders. F. Oliver’s offers an extensive collection of the freshest oils and vinegars from around the world! F. Oliver’s imports its products directly to the shop where each and every one of them is made available for your tasting pleasure. All fine oils and vinegars are then bottled on the spot. 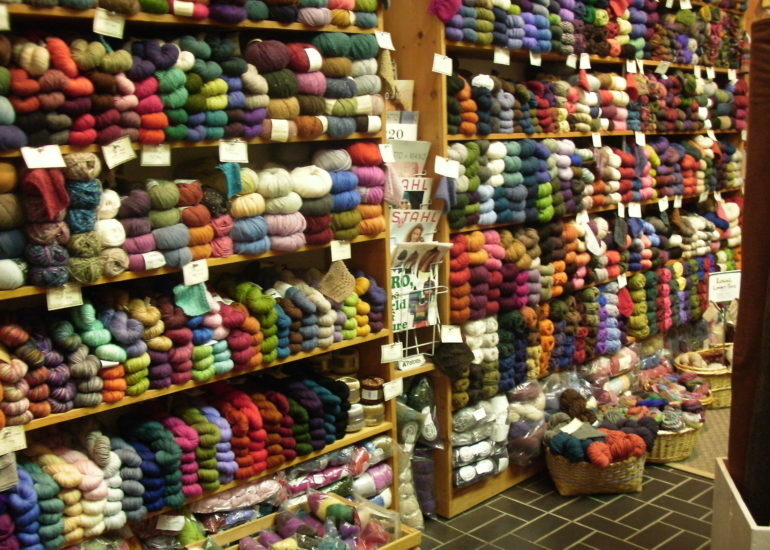 Fibers, located in the DeWitt Mall (next to Moosewood), has been in existence since 1989. It’s creator is Joan Reuning, artist weaver, surface designer, knitter, and seamstress. Fibers features works of Ms. Reuning and Connie Shipos, who creates unique clothing and jewelry. The boutique also features other local artists. The Finger Lakes Meat Project is the Cornell Cooperative Extension of Tompkins and Steuben Counties initiative to grow the freezer trade (sales of meat in bulk quantities such as a whole, half, and quarter animals) to the benefit of both regional livestock farmers and consumers. 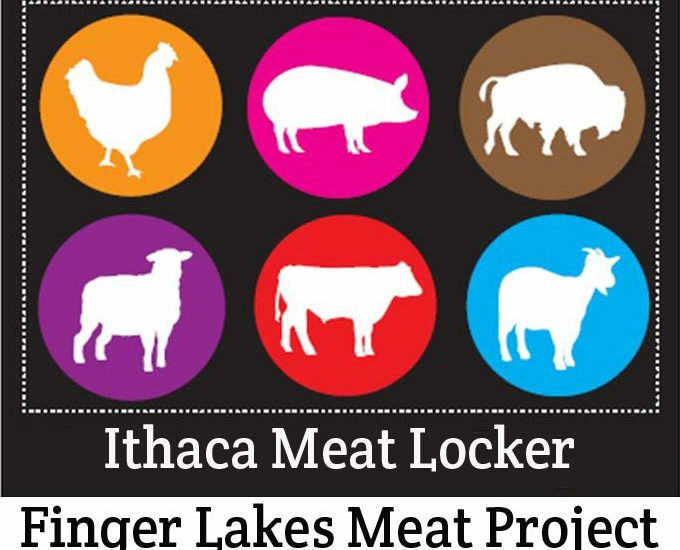 The Finger Lakes Meat Project consists of educational efforts, an online directory of farms called www.meatsuite.com and two community freezer storage locations, called Meat Lockers. The Finger Lakes Running Company (FLRC) was created by Ian Golden in 2005 in an attempt to turn his passion into his profession. Laced with countless miles of single track trail through numerous state parks and private lands, a beautiful dynamic landscape shaped by gorges at the head of Cayuga Lake, and a wonderfully vibrant small college town with excellent academic and athletic programs, Ithaca was chosen and the store born in May of 2006. Since its inception the FLRC has sought to provide customers fitting by a staff trained in biomechanical analysis and whom use the products they sell, and to provide the community with a social and informational hub as well as event direction, support, and sponsorship. Gia’s Elite Style Salon & Boutique of Ithaca, NY is your beauty and fashion haven. From professional full service salon to junior fashion brand names at discount prices, we have them all for you. We guarantee you only quality products and expert service! 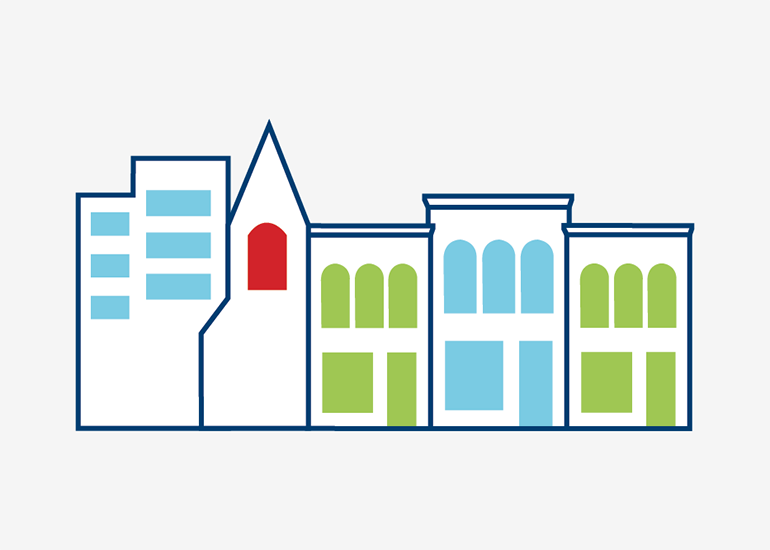 Green Street Pharmacy is conveniently located @ the Green St. bus stop in downtown Ithaca. Our friendly staff is here and ready to serve your pharmaceutical and gifting needs. Come enjoy some tasty treats at our Old Fashioned Soda Fountain now proudly serving, Cayuga Lake Creamery Ice Cream, Ithaca Soda Co. & Finger Lakes Coffee Roasters. 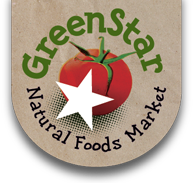 GreenStar At Dewitt Mall is a cozy downtown natural foods market located in the historic Dewitt Mall. Whether you’re looking for a hot meal, a few vitamins, your week’s groceries or just a cup of tea, GreenStar At Dewitt Mall has you covered! Halal Grocery and Meat is stocked with certified halal meats and other traditional foods largely sourced from suppliers in New York City as well as a variety of Asian and Arabic foods tailored for the Ithaca community including Chinese vegetables, Egyptian rice and Indonesian fish, as well as American cereals. Handwork, Ithaca’s Artisan Cooperative, was started in 1976 by 12 local craftspeople. Working together they could afford the cost and time of opening a retail shop to sell their work. Handwork now has approximately 40 member artisans doing a range of work that includes pottery, woodworking, glass, jewelry, fiber arts, wearable arts, leather, paper and art. Headdies has been providing the Ithaca area with quality glass, vaporizers, and smoking accessories since 2010. We always cater to our customers, and we ensure that we have glass to fit every budget. From local products to high-end brands, we carry a beautiful selection of items to make everyone happy. Headdies not only offers a wide variety of products, but is also staffed with vastly knowledgeable and super friendly people! Feel free to stop by or give us a call if you have any questions about your mods, glass, e-juice, or anything else. We’re always happy to help and educate others! 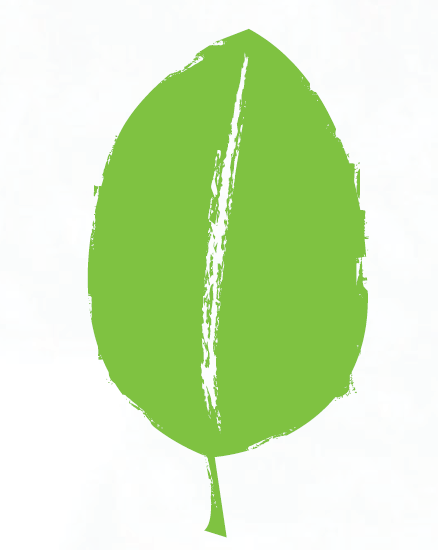 Home Green Home offers a wide variety of Earth-friendly home furnishings, housewares and gifts. From their extensive collection of organic linens for bed & bath to natural yoga & meditation supplies, you’ll find an eclectic mix of mindfully curated items that are attractive, high quality, and healthy for people and planet. Delightful gifts abound, from locally made natural candles & soaps to items made from upcycled bike tire tubes and beer bottles. Browse Home Green Home’s books on healthful gardening & eating, or sneak into the back of the store for a nap on a dreamy organic mattress made from natural foam rubber, wool, and organic cotton. Check out the latest in stylish non-toxic lunchware and water bottles. Discover how beautiful and comfy sustainable living can be at Home Green Home! 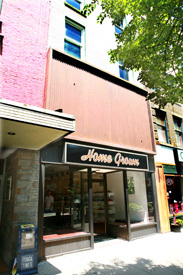 Since opening in 2005, Homegrown has been the only skateboarder owned and operated shop serving the Ithaca area. The shop serves as a hub for the Ithaca area skateboard community and offers a selection of the best footwear, clothing, and skateboard products available. In addition, the shop also hosts monthly showings for local artists giving them an opportunity to display their work in front of a broader audience. We take great pride in our vibrant and unique selection of seasonal, small-batch roasted gourmet coffees, available for purchase in our stores, for wholesale, and served in our cafes. Also served in our cafes are ICC Bake Shop goods and other satisfying breakfast, lunch, and tavern foods. The gourmet market in our Triphammer store features many locally made products as well as a distinct selection of artisan cheeses, provisions, chocolates, confections, and custom gift basket service. Our Gateway Commons store features the areas largest selection of homebrewing supplies for the beginning to advanced homebrew enthusiast. Ithaca’s premier home for all stringed instruments! Ithaca Guitar Works features stringed instruments & accessories, sales & service, electric violins, violas, cellos, guitars, mandolins, amplifiers and effects, and used instruments. Ithaca Guitar Works is an authorized dealers for Fender, Taylor, Martin and many other brands. Since 1979, Ithaca Sheepskin has been handcrafting quality sheepskin slippers, scuffs, hats, gloves, mittens, headbands, earmuffs, coats, vests, and more. More than just a store selling wonderful, local products, Ithacamade is a hub for bringing locally made goods to the community and the local economy! Home of Silk Oak & Spirit and Kitsch. Jillian’s Drawers is a small, mom-owned, local natural parenting store dedicated to helping you find high quality toys, baby carriers, shoes, breastfeeding products, nursing tops, and of course, cloth diapers! Anne Steinle is a textile/upholstery artist and the proprietor of Littlestone Designs. She works by commission and also creates both one-off pieces and limited series of work. Mansour Jewelers, nestled in the heart of downtown Ithaca, is one of the largest jewelry stores in the region. For the last three decades, Mansour Jewelers has been and will always be part of the happy connection between those who give and those who receive. Whether the occasion is an engagement, wedding, anniversary, a birthday or just to be nice, they pride themselves on being able to provide the most desirable gift for the greatest value. Mansour Jewelers specializes in restoring old jewelry and will repair any kind of jewelry, no matter how difficult that may be. Mansour Jewelers has a large inventory of pearls in all forms and shapes, as well a large inventory of watches, including Citizens, Seiko, and Pulsar. In January of 2013, Suzanne Loesch became the new owner of Ithacards, and began the transition to Mockingbird Paperie. While retaining the favorite items and best sellers of Ithacards, Mockingbird Paperie has expanded the product line to include decorative papers from all over the world, unique gifts, writing instruments and a full line of wedding invitations. Mockingbird Paperie offers washi papers from Japan (Chiyagami/Yuzen), artisan papers from Nepal, fine stationery from France, Prague and Italy and handmade journals by local artists. Suzanne’s love and passion for everything paper is what makes Mockingbird Paperie a continuing gift to the community. A gallery of the Earth, Multifaceted Minerals specializes in crystals, rare minerals, and custom-jewelry. Also an art gallery. specialize in future hand-me-downs, eventual heirlooms, and making you look like a million bucks. Located one block east of the Ithaca Commons at 320 East State Street (next to Mayer’s), The Old Goat Gear Exchange is dedicated to providing quality new and used outdoor gear using the buy/sell/trade model. The Old Goat is seeking spring and summer gear, including hiking, biking, camping, and paddling equipment and clothing. The Old Goat also accepts consignments of big-ticket items like kayaks, canoes, and bikes. The Ithaca Ten Thousand Villages store has changed from an affiliated store to an independent store and is now One World Market! One World Market will continue to carry Ten Thousand Villege products, as well as those from other fair trade organizations the world over. One World Market remains strongly committe to carrying unique, handmade, fair trade gifts and to ensuring that every artisan is paid a living wage. Orchid Alley sources and imports quality South East Asian Boho-style clothing, embroidered hand bags, and graphic tee shirts hard to find in Western markets. They source their products from clothing and handicraft companies located across Thailand. Located in the historic Dewitt Building since 1979, Pastimes is a small, colorful shop that’s packed with an assortment of fun, affordable antiques and collectibles. Pastimes specialize in quality furniture, vintage jewelry, turn-of-the century postcards, antique buttons, beads, photography, political buttons, and paper ephemera. They also carry glassware and china, fountain pens, bakelite, advertising tins and lots more. Pastimes buys and sells locally and on eBay. Pastimes is situated in downtown Ithaca, at the corner of Seneca and Cayuga Streets, one block north of the Ithaca Commons. Petrune carries classic clothing from every decade. They specialize in vintage clothing, shoes & accessories, but also carry new items that have a classic appeal. Petrune also has its very own line of clothing made in their upstairs studio by Natasha Keller. Online Groceries Made Easy. Rosie lets you shop online from local grocers for same-day delivery or in-store pickup. 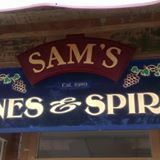 Sam’s Wines & Spirit is located on the 100 block of South Cayuga St.
Now celebrating 25 years in business, Sam’s carries wine and cider from over 20 local wineries. We have been fortunate enough to serve the Ithaca community for over 80 years. in Diamonds, Precious & Semi-Precious Gem stones, Fashion Jewelry, and Watches. We are Proud retailers of BALL Watches, AVI-8, and our own Schooley’s brand. We are the only supplier/designer of the Cayuga Lake Pendant. It has grown in popularity to the point where we now offer all of the Finger Lakes. They are great gift ideas, graduation gifts, retirement gifts, and while worn great topics for discussion. Please stop by anytime to take a look! SewGreen was founded in Ithaca in 2007 as a way to save unwanted fabric, yarn and sewing equipment from going to the landfill, and to teach sewing as a self-reliant skill. The original mission has grown to also include youth development, job training, and consumer education. Sheldon Hill is owned and operated by Stacey K. Payette. Payette’s passion for vintage jewelry took hold after many years as an antiques and collectibles generalist while living in Oneonta, NY during the late 1990s. Payette moved to Ithaca in 2000 to teach secondary social studies. In 2005, Payette opened the Ithaca Antique Center and subsequently left teaching the following year. 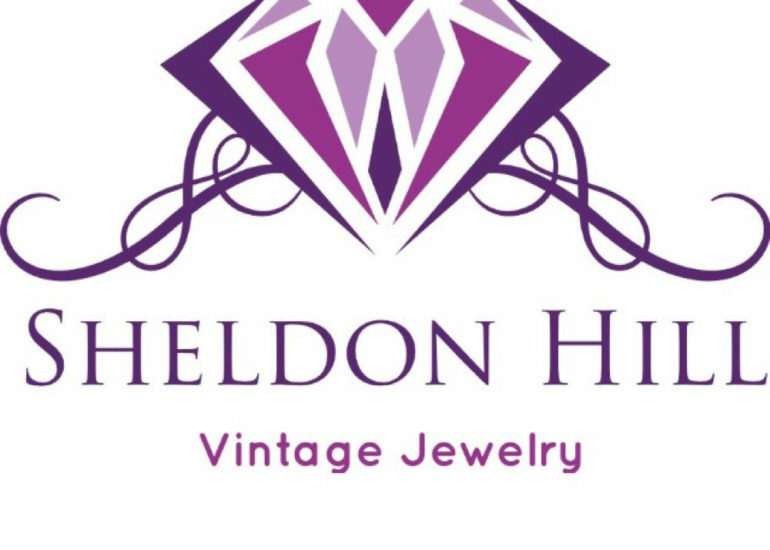 Her vision for a vintage jewelry boutique was realized three years later with the debut of Sheldon Hill in 2008. Payette continues to co-own the Ithaca Antique Center with her partner, Andri A. Goncarovs, and is thrilled to be an important part of the growing re-use/antiques/vintage market in Ithaca. 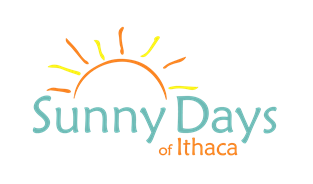 One-stop shopping for everything that makes Ithaca and the Finger Lakes incredibly special! Full service gas station with mini market offering all the staples, candy, soft drinks, lottery tickets, cleaning supplies, and dry goods, as well as hot food items such as hot dogs and sandwiches. T-Shirt Express is a top choice for clothing, souvenirs, and merchandise for “Ithaca is Gorges”, Cornell University, and Ithaca College. T-Shirt Express offers customized merchandise like t-shirts, magnets, bumper-stickers and more. The Bookery is located in the historic Dewitt Building at the intersection of Seneca St. and N. Cayuga St. They have over 35,000 volumes of used and rare books in their store and online. The Bookery also purchase books – from individual volumes to entire collections. We are proud to be the newest branch of the official Cornell Store, open every day on The Ithaca Commons and we have the Cornell gear, gifts and collectibles you’re looking for! Browse through a great selection of guys and girls Cornell t-shirts, crews and hoodies as well as caps, mugs, glassware, keychains, umbrellas, and we also have youth and toddler apparel to fit the littlest Cornell fan. Ithaca’s Outdoor Store has been serving Ithaca for over 50 years with all of your sporting needs. They offer a wide selection of clothing and activewear, winter fleeces and Smartwool socks, as well as camping and hiking equipment, all kinds of outdoorsy gadgets, and an excellent assortment of bicycles. Ritual tools for transformation. 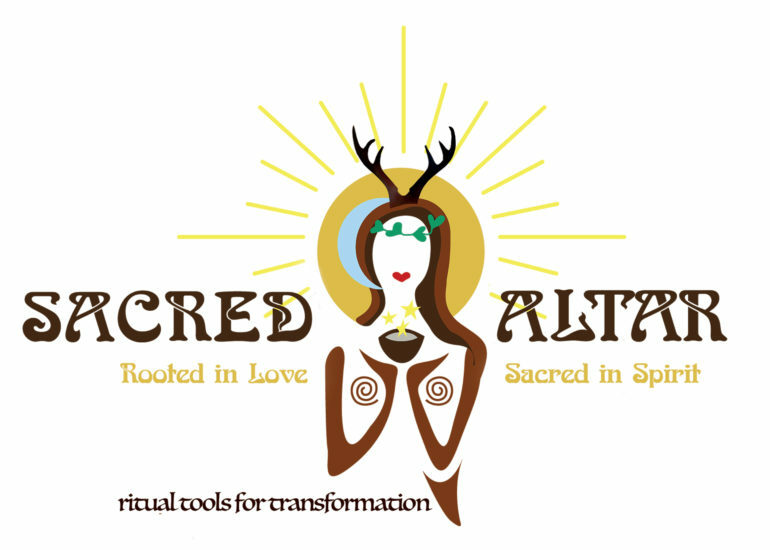 Featuring sacred blessing herbs for smudging, ritual incense blends, cauldrons, pendulums, runes, exciting prints, altar boxes, jewelry and more. The Vintage Industry is a small and selective antiques & vintage store owned by Marie Sirakos, in the space formerly occupied by Blue Bird Antiques. They specialize in a wide variety of antiques, vintage items and collectibles. 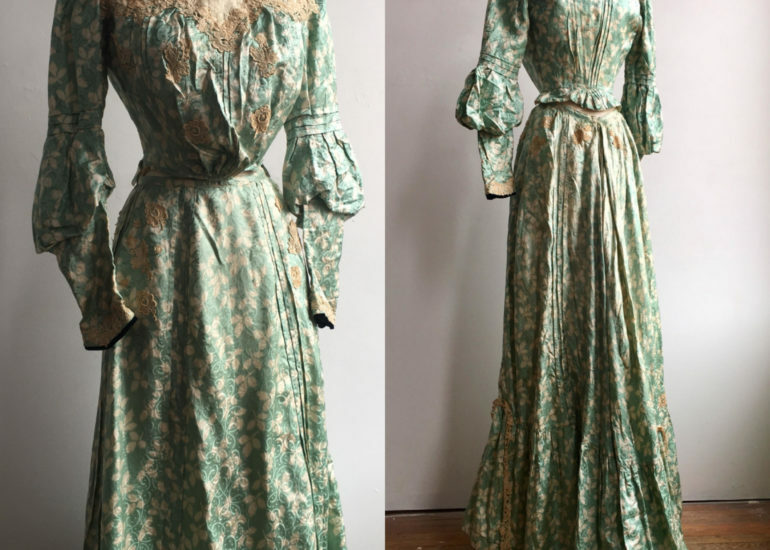 Wares of interest include 20th Century design, mid-century and modern furniture, the primitive/industrial, folk art, porcelain & glassware, vintage taxidermy, vintage photo and audio equipment, antique and vintage lighting fixtures, costume jewelry, vintage clothing, and odd and interesting items. The Vintage Industry buys, sells, and trades antiques, vintage & estate items. Estate liquidation and appraisal services available. The Tibet Store is filled with an assortment of handmade crafts imported from Tibet, Nepal and India. Peruse their stunning collection of jewelry made from silver, turquoise, lapis and coral; sumptuous embroidered pillowcases, tapestries and sarongs; and an assortment of items to assist the Buddhist practitioner, including incense, prayer beads, and Buddhist statuary. 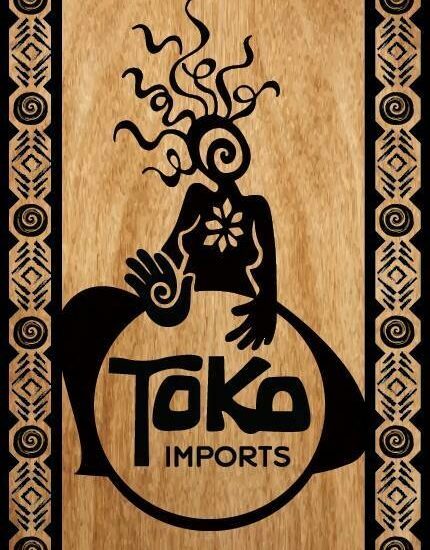 Located in the historic DeWitt Mall, Toko Imports features an enormous selection of hand drums and percussive instruments. Toko Imports offers rentals, repairs, and lessons. African-inspired and batik clothing. Toko Imports also has a fabulous collection of hats and hammocks! For 23 years, Trader K’s – located on the beautiful Ithaca Commons – has been buying, selling and trading gently-used clothing and accessories to the Ithaca community and beyond. Starting two decades ago with a modest, 900-square-foot store on the outskirts of the Commons, the local owners have since moved the bustling business to a sprawling, 4,000-plus-square-foot central Commons storefront and opened Trader K’s 2, an equally large second boutique to serve the Lansing and Cayuga Heights neighborhoods. Trader K’s and Trader K’s 2 have grown to be known and loved as two of the largest independently-owned used clothing stores in New York State. Trader K’s pride itself on looking through each and every piece of clothing that comes in to make sure you get the best selection, quality and prices it have to offer. Trader K’s puts out 500 to 1,000 pieces of clothing a day at each location so inventory changes daily. Every shopping trip to trader K’s and Trader K’s 2 is different from the last! With the option of cash or trade, you can choose what best suits you and your lifestyle when selling items for our stores. 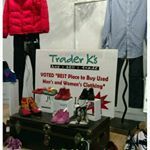 Trader K’s carries men’s, women’s, and children’s clothing, shoes, accessories and even toys, so there is something for everyone at Trader K’s and Trader K’s 2. Stop in and see why Trader K’s has been voted Ithaca’s best used clothing store! Trader K’s has a second location in the Lansing Village Place in Ithaca. We carry a wide variety of e-juice and all your vape necessities. Stop by Vape Dragons! Monday - Saturday: 11:00am. to 6:00pm. A women’s boutique featuring fashion dedicated to social good.